According to a health dictionary, Ginger means "nutrition", and Ale means "medicinal". Last year, caretakers in my farmland planted a lot of ginger. As a result, we harvested almost 10 sacks of ginger. The problem was we cannot find the market for distribution because of economic crisis this year. Caretakers came to me asking for help on how they could sell the products. All of us tried to think on how to market 10 sacks of ginger before rainy season starts. Then, one of our men came up with an idea of starting ginger ale production. 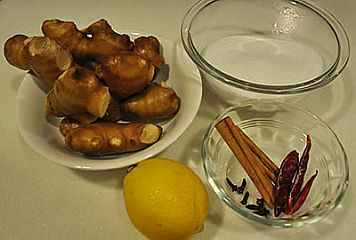 The main medicinal part of ginger is the rhizome (underground stem). Dried ginger rhizomes contain elements that are highly beneficial to your body. 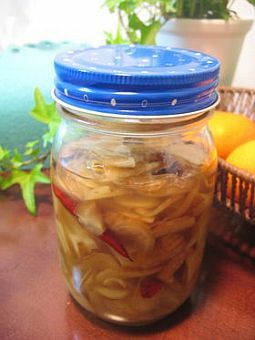 Intake of dried ginger rhizome is regarded as one of the best remedies to suppress vomiting, and fight against cough and cold, and digestive disorders. An active ingredient of ginger, called "gingerol" is what creates relief in our body's digestive system by slowing down the intestinal spasms. Ginger contains the compound "zingibain", which is clinically shown to have antibacterial properties, and thus it is being used as cold and flu remedy. 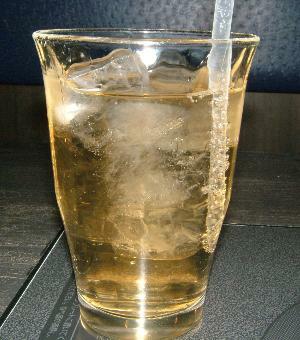 In many countries especially in Europe, people drink ginger ale to reduce nausea, abdominal pain, or upset stomach. Ginger is one of primary ingredients used on traditional cold medicines, antiemetic drugs, and analgesic agents. Ginger is good for people who suffer from coldness and helps reduce stress. For adult, you can add a little amount of liquor in it, and it's also a very good appetizer. Before anything else, you certainly want to make ginger ale right at the comfort of your home. You can find lots of methods in the internet. It is extremely easy to make. You'll only need fresh ginger, sugar, yeast, and lemon juice as its main ingredients. 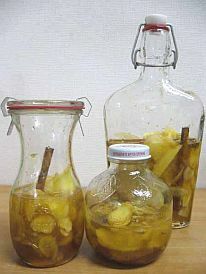 Just search on how to make ginger ale in your search engine. When we finished making 5 gallons (640 oz.) of ginger ale, our workers carried it to nearby street market. They were able to earn a day of living for two families in just two hours. They were so happy to work for more production of ginger ale for the next day. 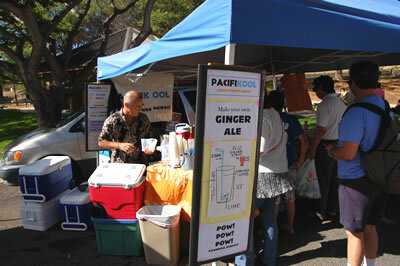 There are many good reasons to drink ginger ale rather than commercially sold soft drinks and expensive health drinks. Yes, yes, ginger ale is definitely better than ionized water! 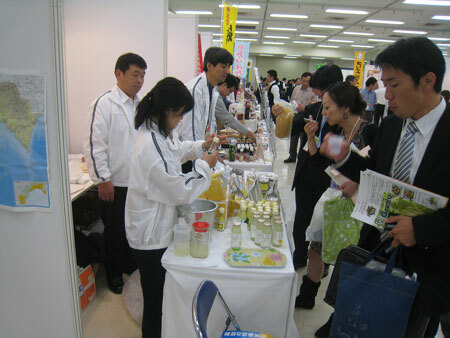 Marketability of ginger ale is now entering Japanese white-collar workers. 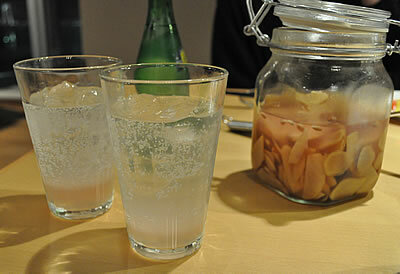 Homemade ginger ale is now common around the world. The first soda pop made in the USA was Vernor's Ginger Ale, which was created in Detroit, Michigan by James Vernor, a Detroit pharmacist, in 1866. He sold it for 30 years in his drugstore before opening a factory to produce it on a larger scale. During the 19th century, barkeepers used to put out small containers of ground ginger for customers to sprinkle in their beer (supposedly the origin of ginger ale). The best ginger is a pale, buff-colored rhizome grown in Jamaica, and it was used in the time of Henry VIII to combat the plague (Black Death).